Epson Document Capture Pro makes it easy to integrate this business scanner into your document management system, speeding up workflow and enabling you to capture, convert and distribute scanned information into your document filing system. In addition, barcode recognition and Zonal OCR help automate large document processes, such as file naming and folder creation. The DS-860N is easy to integrate into almost any document management system and workflow process thanks to WIA, TWAIN and ISIS driver support. 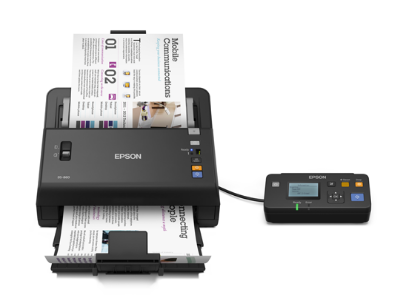 Epson Scan offers a wide selection of advanced document imaging features, such as text enhancement and automatic de-skew, which help improve efficiency and increase workload output. The DS-860N also scans to .docx, .xlsx and .pptx. High-speed scanning of up to 65ppm / 130ipm, even at 300dpi in colour.